Plus the staff has been revealed. 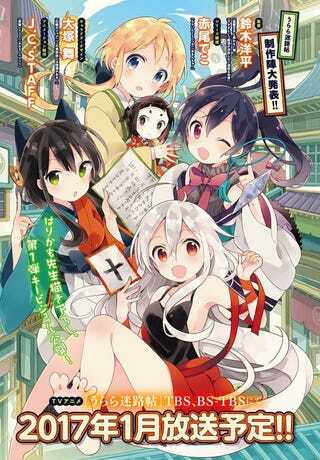 It has been revealed that the anime adaptation of the manga “Urara Meirochou” will premier in the Winter 2017 Season, this thanks to the twitter account of Houbunsha´s Manga Time Kirara. From the staff side we have that Youhei Suzuki (Shimoneta) is the director at J.C. Staff; Deko Akao (Snow WHite with the Red Hair) is handling the composition; Mai Otsuka (Non non Biyori) is in charge of designing the characters.